Wall Packs are high output light sources used on the exterior facade of commercial buildings. 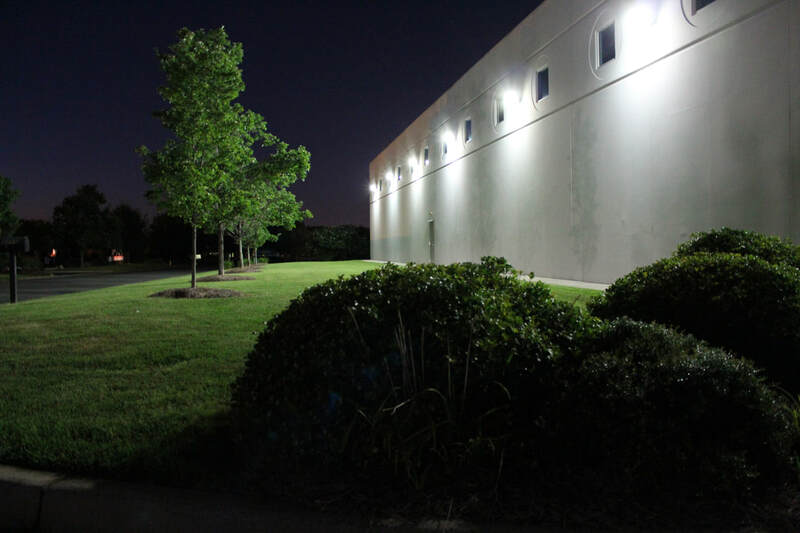 Wall pack lighting is used to provide safety and security around buildings at night. Metal Halide, HPS, CFL, and LED light sources are all used for wall pack applications. For facility managers and building owners using older, inefficient lighting technology like MH, HPS, and CFL lamps, HyLite LED Retrofit lamps can provide an easy to install alternative to replacing the entire light fixtures. HyLite LED Retrofit lamps screw into existing lamp sockets and eliminate the need for any ballasts, starters, or other components. 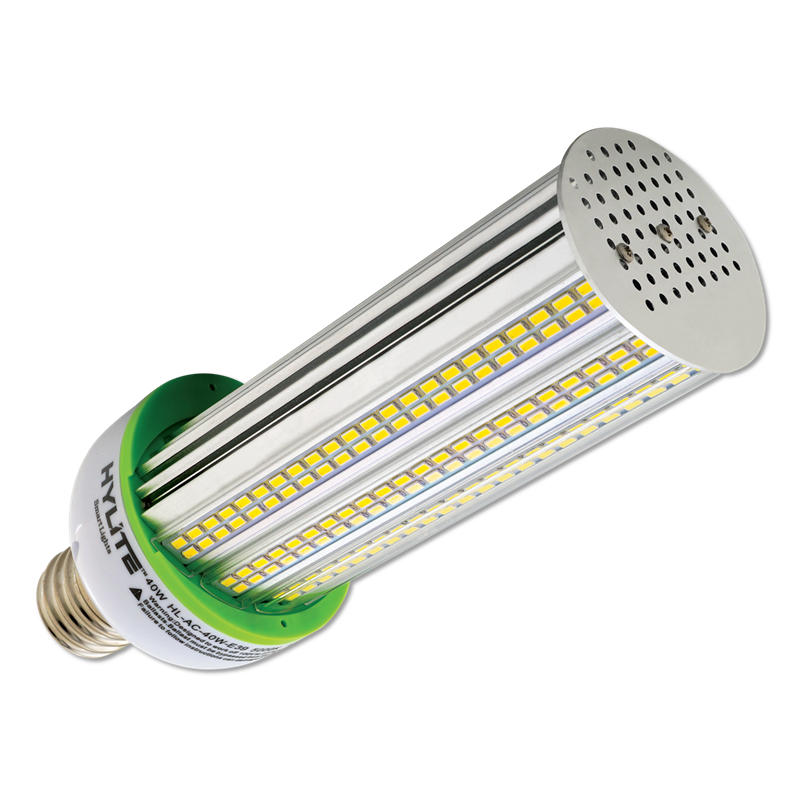 The quick and easy installation makes HyLite LED retrofit lamps and low-cost alternative to new LED fixtures. The HyLite LED Arc-Cob features an optimal 120° beam angle providing high-efficiency illumination for wall pack applications. The directional beam angle minimizes the amount of light trapped inside the fixture and enhances illumination around the building. 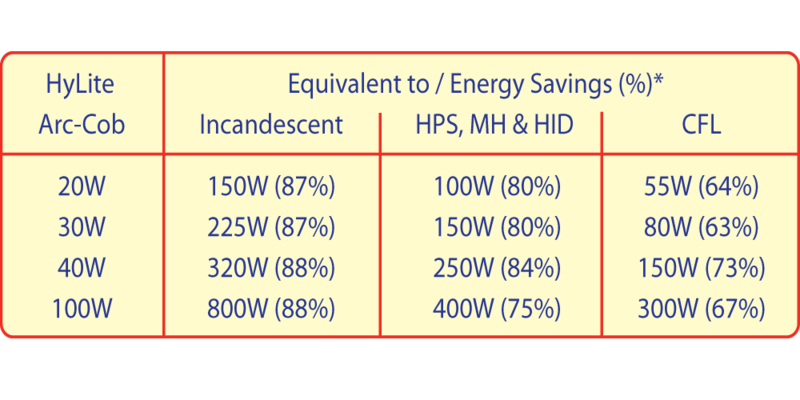 Rated for up to 60,000 hours of life, the HyLite LED Arc-Cob lamp lasts 3 to 5 times longer than HID/MH/HPS light sources greatly minimizing maintenance costs.